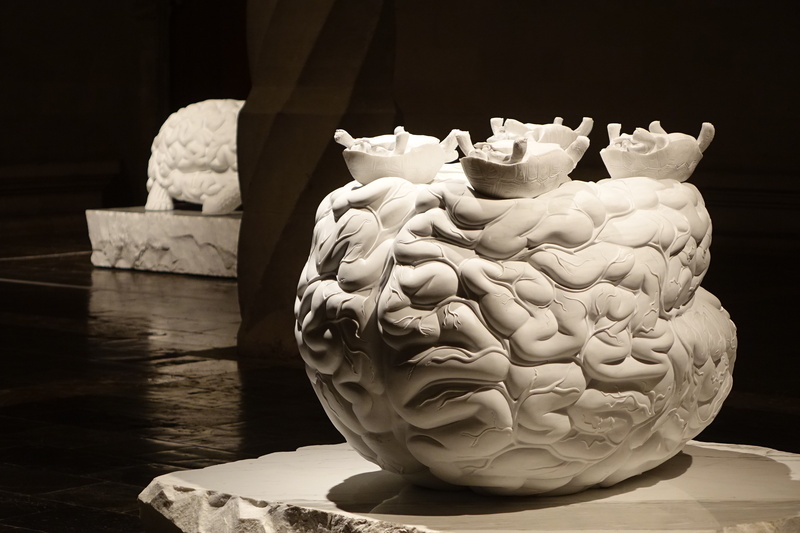 Jan Fabre is a multitalented creator. 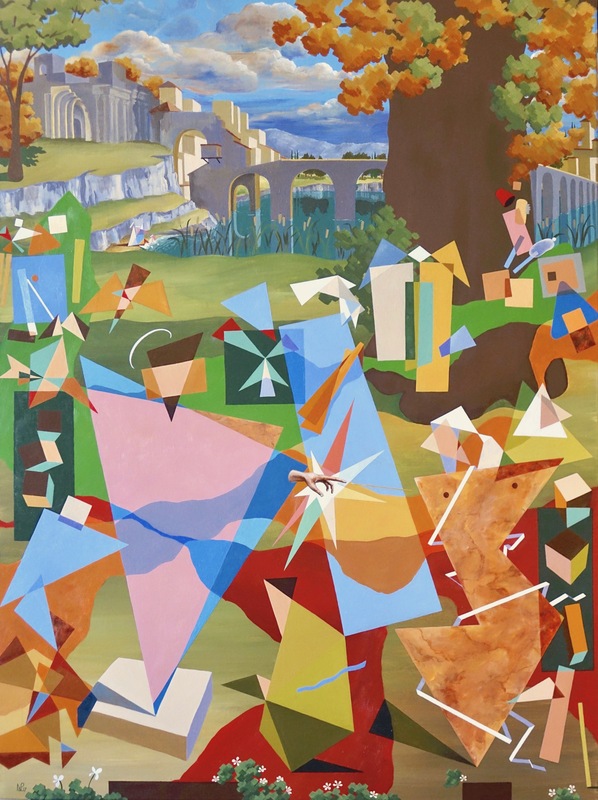 Having successfully dappled in writing, performance, and screenplays, he has also shown himself to be a prolific artist, skilled in drawings and installations quite asides from his stunning sculpture work. He is also tremendously successful. 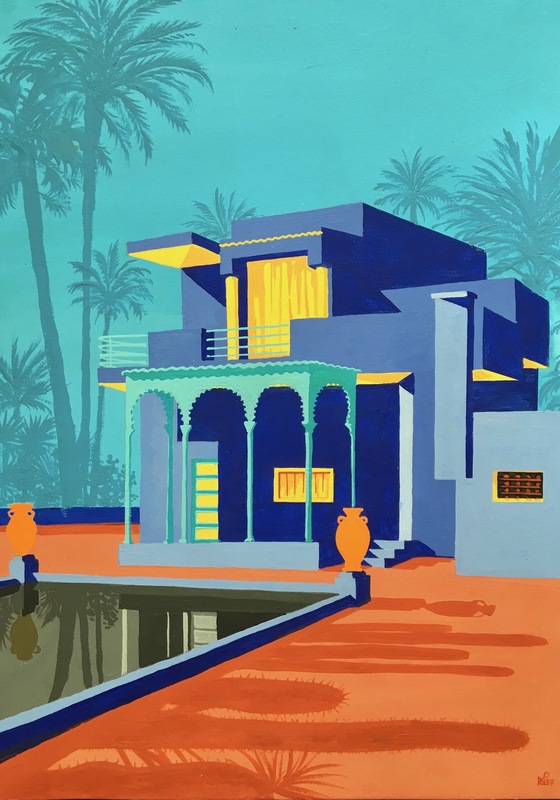 He was the first contemporary artist to be given a solo exhibition at the Louvre in Paris (“L’ange de la métamorphose”) and has participated several times in the Venice Biennale, and twice in the Kassel Documenta. 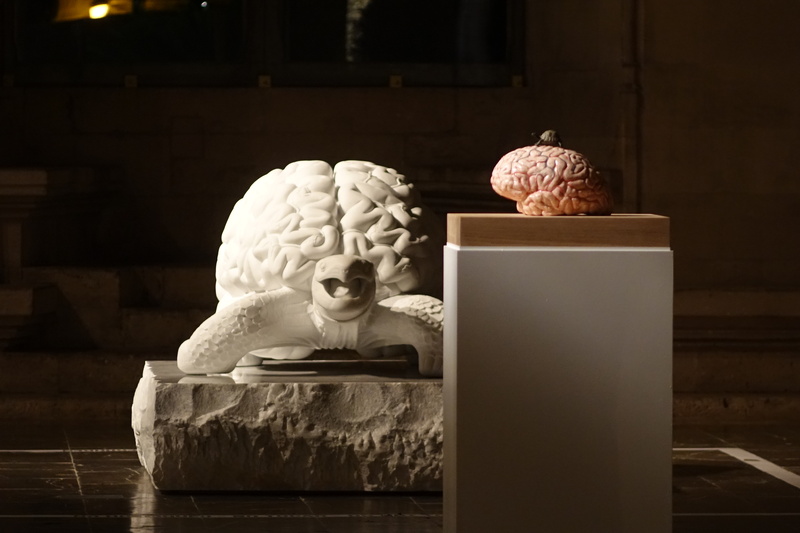 Yet most importantly of all (for me at least), his incredible thought-provoking works are now on show in Palma, in the haunting lofty space that is La Llotja – the old 15th century maritime exchange, on the city’s waterfront. 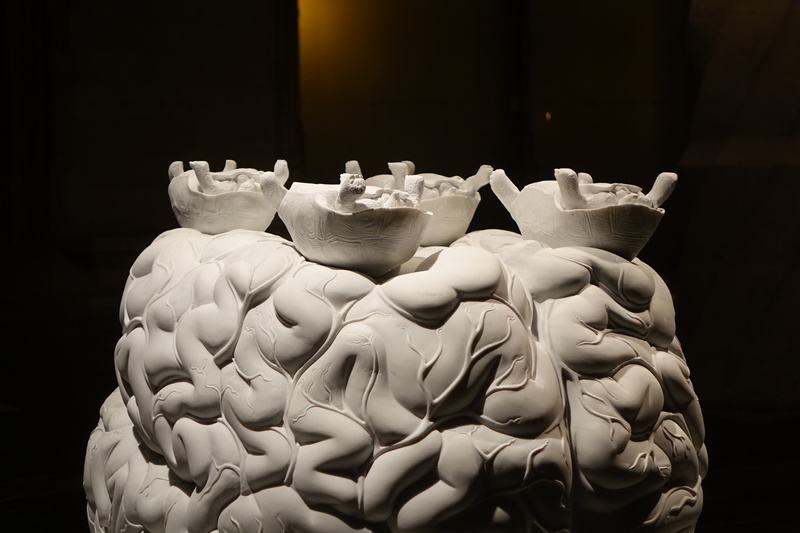 His Palma exhibition, Zeno Brains and Oracle Stones, is as enigmatic as it is enticing. 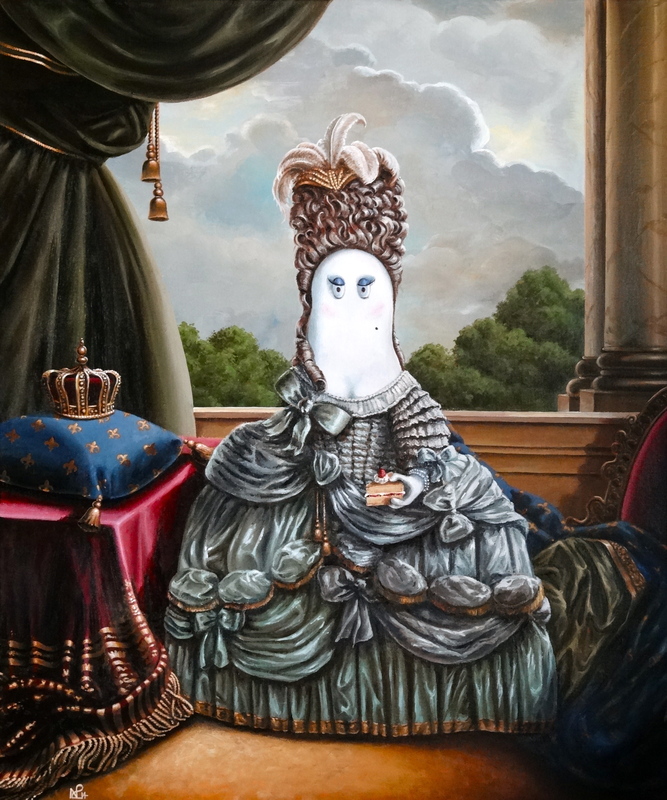 After perusing the internet for some time, I have found myself quite unable to find any coherent explanation of what the exhibition is about, nor what the artist intended to represent. 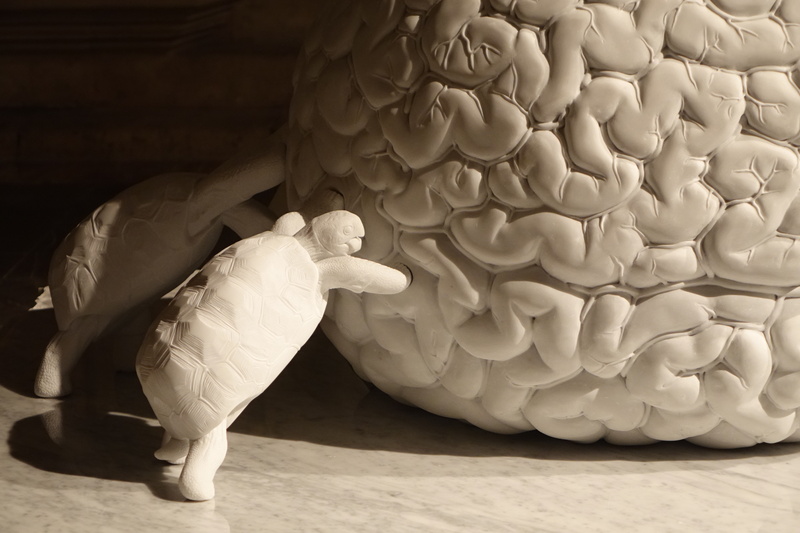 And yet the show, which comprises some 9 sculptures revolving around the same theme: the tortoise and the brain, makes for a stunning sight. 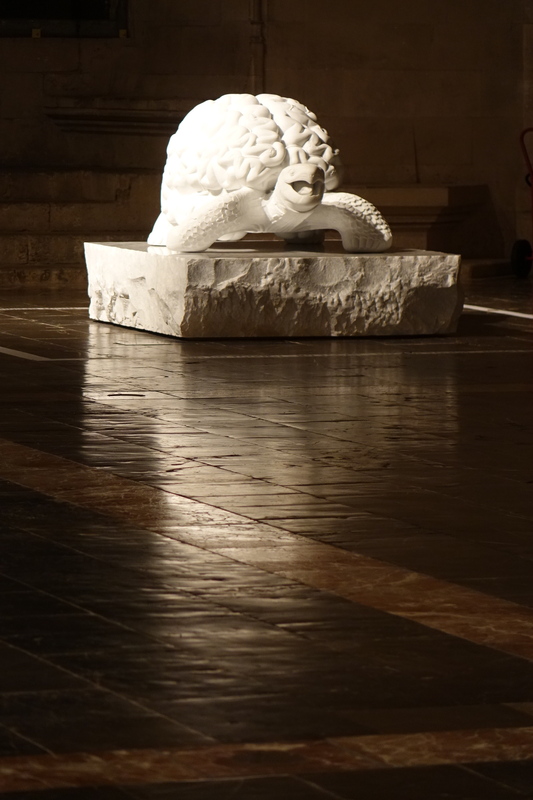 This is not least because of the space: given over to these simple sculptures in marble and stone, illuminated powerfully in the otherwise dark cavernous space, the whole installation feels almost spiritual as each sculpture sits soulfully in wait, a focused spotlight falling upon its cold stone surface in the darkness. 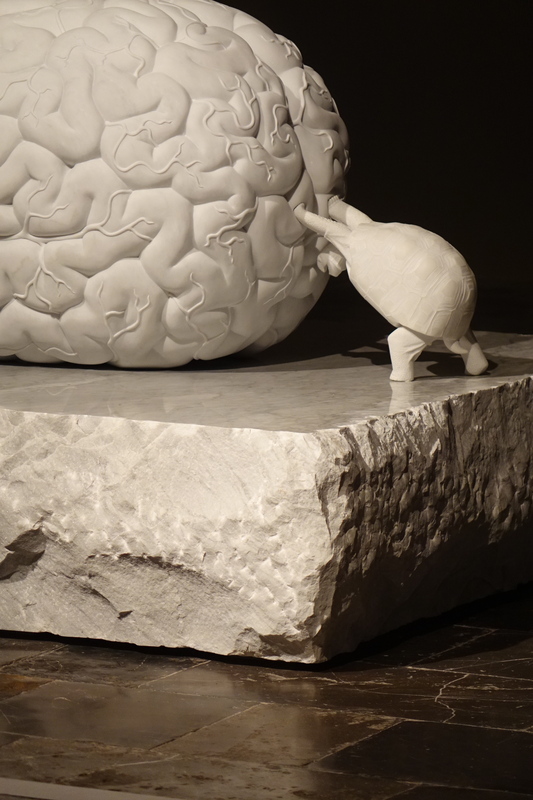 But the sculptures themselves are so enigmatic that they call out for engagement and interpretation. 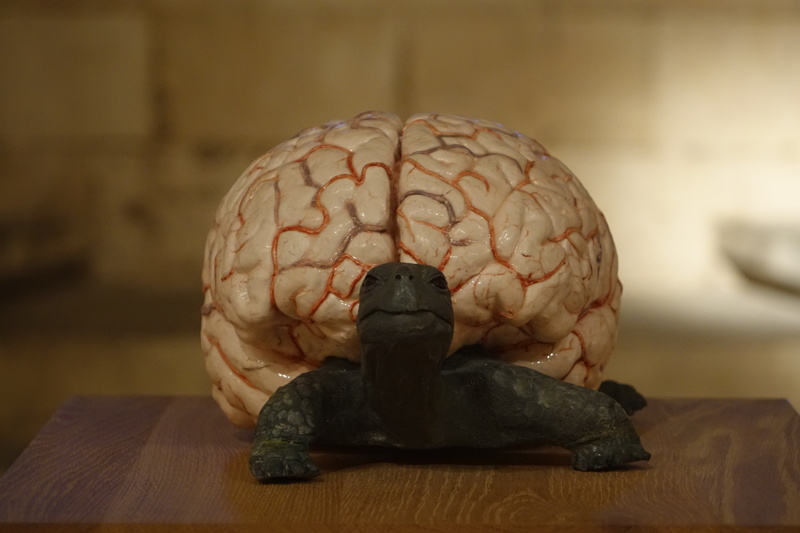 Fabre gives us tortoises on a brain, tortoises under a brain; a tortoise whose shell is made out of a brain, and another who carries a brain precariously on its shell. 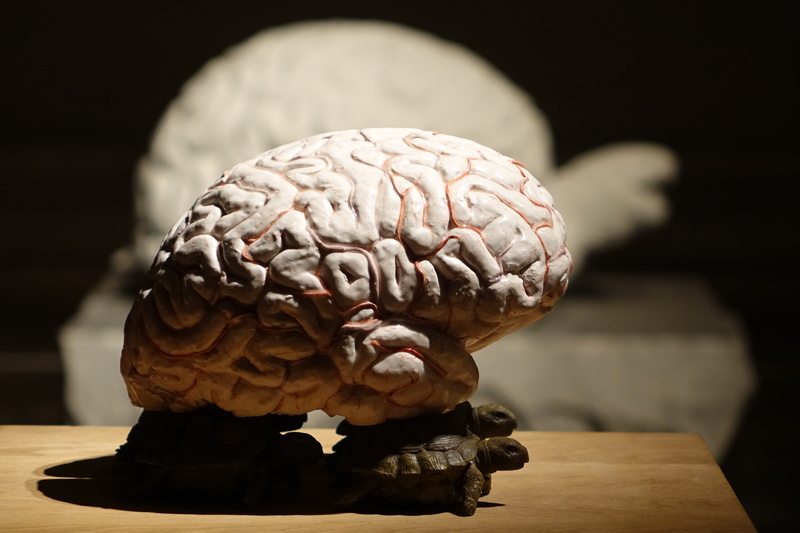 There are tortoises lying upside down atop a brain, and others pushing a brain away as though in an attempt to alleviate the world of this unnecessarily complex organism. 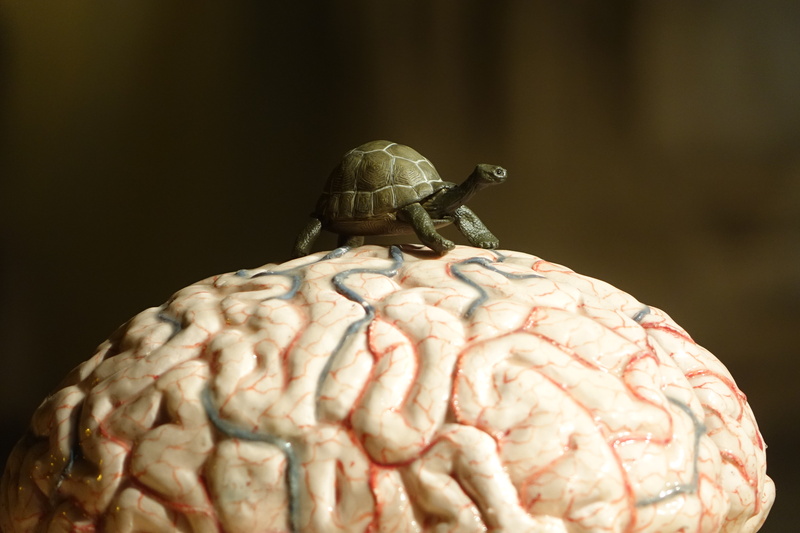 So why the brain and why the tortoise? Well they are both as old as time, and perhaps both inexplicable as a manifestation of nature’s creativity. They also look pretty similar working in unison – a partnership evidently explored by Fabre in these various sculpted manifestations. But there is almost something sinister and monstrous about the works, and while I am not completely invested with an understanding of how the works reflect Kafka’s Metamorphosis, as is suggested by the brochure accompanying the exhibition, I can see the plight of Gregor Samsa in the upturned tortoises, reminding of how that poor man awoke one fated morning finding himself unable to get up from his back which had metamorphosed into the shell of a hideous beetle. But as ever, the enigma of this work is integral to its power, and much of the reason why I love it. 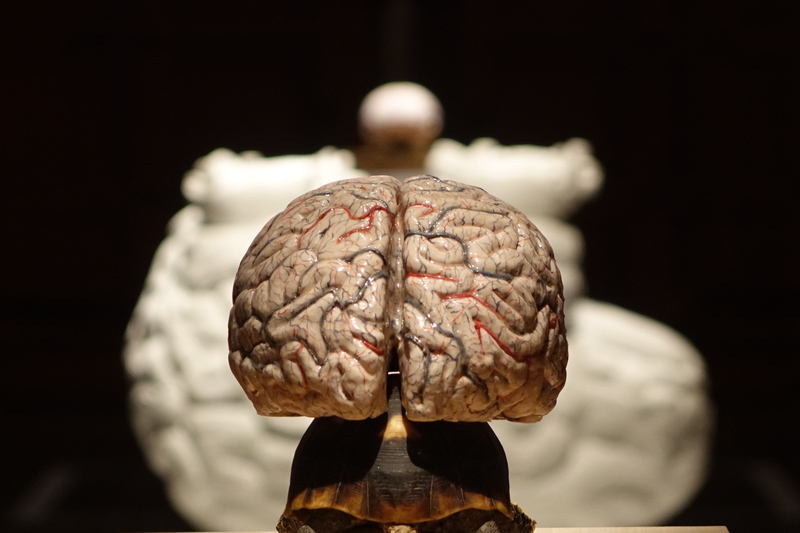 And if you wish to see it you must be quick, for the exhibition will end on 21 December 2014. Yet another reason to get yourselves to Mallorca before the year is out.